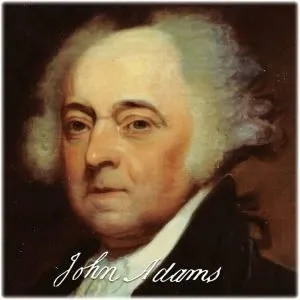 Before John Adams became the first Vice President of the United States under George Washington, second President of the United States, the first resident of the White House, and writer of the Massachusetts State Constitution he had a role during the Revolutionary War period as one of the creators of the Declaration of Independence. He was on the Committee of Five and was at the age of 40 more senior than the 33-year-old Thomas Jefferson, but realized that Jefferson was the more eloquent writer. Adams saw to its completion. The most senior member of the Committee, Benjamin Franklin was aroused from his bed to finalize it. The 70-year-old gentlemen had been bedridden with gout. 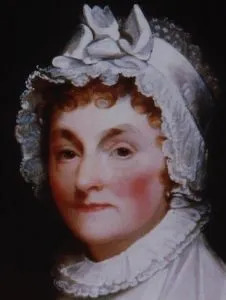 Then the remaining two of the Committee reviewed it –Robert R. Livingston of New York and Roger Sherman of Connecticut — likely without further change. 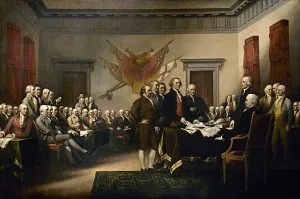 Adams and Jefferson had first met at the Continental Congress in Philadelphia in 1775 and developed a strong mutual respect and formed a close friendship. In 1784 Jefferson joined Adams in France on diplomatic service for the new Nation. Adams did most of his work in England (and Holland) while Jefferson stayed in Paris, but they met up in London after Jefferson had finished some diplomatic business. Afterward, they toured together visiting English gardens and Shakespeare’s home. They were friends for 51 years, with one significant exception. They parted ways around the time of the contentious Presidential election of 1800. Adams served only one term, and the acrimonious election saw Jefferson’s narrow political defeat of Adams. But were reunited after a dozen years. They differed on many subjects: American federal political theory, the French Revolution, and slave ownership. Adams was a direct descendant of American Puritans and grew up in a New England Congregationalist church where his father was a deacon. When many Congregational churches turned toward Unitarianism, he turned with them. He was also fully exposed to the European Enlightenment while he was in France, assuring that he would become a free thinker. He was suspicious of priests “papistical (Roman Catholic) or Presbyterian” and declared fervently that it was not the case that only Calvinists would go to heaven. In acclaiming God’s greatness, Adams also recognized his — and humankind’s — finiteness. He was a man of deep spiritual conviction and personal morality. As a lawyer, he had defended the British soldiers who shot into a crowd which became known as the Boston Massacre. When the shop of a printer who had often written against him was on fire, he joined the bucket brigade. Neither John Adams nor Thomas Jefferson signed the Constitution — Adams was serving as minister to Great Britain, Jefferson was serving as minister to France — but they both supported it from abroad. So as a prophet he was visionary, and only off by two days. 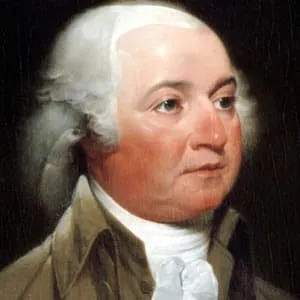 I find the letters between John Adams and his Abigal interesting read.